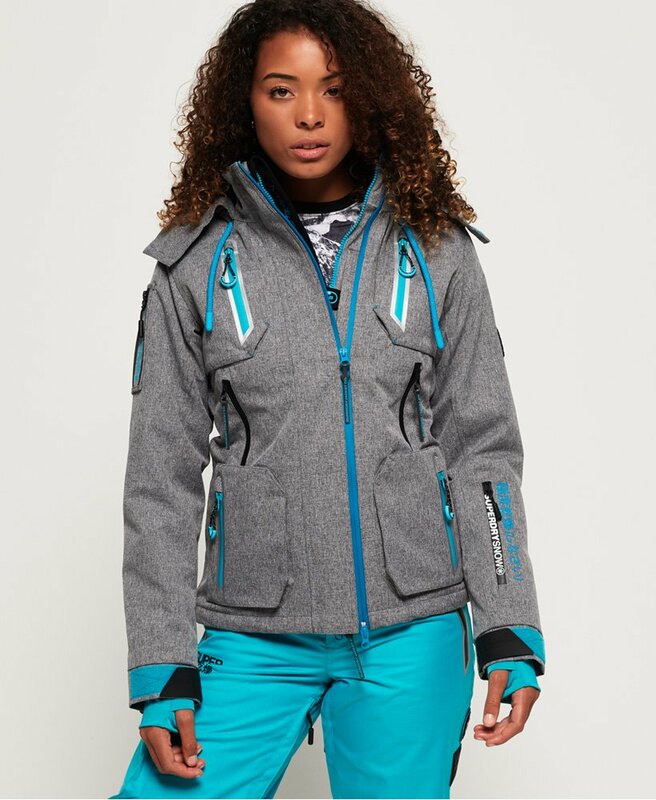 Superdry women's Ultimate Snow Action jacket. This ski jacket features a hood with a contrast colour lining, removable faux fur trim and a drawstring adjuster. This jacket also benefits from a 10k/mm water resistant shell, as well as coated zips and fully taped seams, perfect for keeping the water out. Combining style with performance, the Ultimate Snow Action jacket also features six zip fastened front pockets, an additional media pocket with a hook and loop fastening and goggle wipe, and a zipped pocket on the arm. This jacket also features a ski pass holder, 10k/g breathable tech fabric and zipped armpit vents for ultimate comfort. With a snow skirt, adjustable cuffs and thumbholes in the inner cuffs, this jacket has everything you need. This ski jacket is completed with reflective detailing, a double layer zip fastening and Superdry logo detailing on the sleeves and shoulder.